Education Minister Naftali Bennett (Habayit Hayehudi) and Jerusalem Affairs and Heritage Minister Zeev Elkin (Likud) have introduced Knesset legislation that would change the Basic Law on Jerusalem to permit the government to transfer areas of the city to a new local authority at some time in the future. That would enable the government to split off the Shuafat refugee camp and the Palestinian village of Kafr Aqab, both of which are within Jerusalem`s borders but are on the West Bank side of the security fence. If the government exercises the option of making the changes in the municipal boundaries, the two locations would be outside of Jerusalem`s municipal boundaries but remain under Israeli sovereignty. Such a step is expected to make significant demographic changes in the Jerusalem`s population, reducing the number of the city`s Arab residents. This makes it possible to make municipal changes in the territory of the city on the condition that the [new] municipal authority will also be under Israeli sovereignty, Habayit Hayehudi`s Knesset faction chairwoman Shuli Moalem-Refali, who sponsored the bill in the Knesset, said at a parliamentary session on the legislation. The amendment to the basic law on Jerusalem would allow the government to separate off parts of the municipality and allow them to become part of a different local government, the legal advisor to the Knesset Constitution, Law and Justice Committee, Gur Bligh, told the committee on Monday. The committee approved the law for its first reading in the Knesset plenum and coalition whip MK David Bitan (Likud) wants to bring the bill to the Knesset for the first reading as soon as he can, possibly on Wednesday. The bill passed its preliminary reading in the Knesset last week. In a legal opinion for the committee, Bligh wrote that the amendment is intended to determine that no constitutional impediment exists to making changes in the municipal boundaries of Jerusalem, which is not the case today. If the law is passed by the Knesset, then changes in the city`s borders can be made in the same way as for any other city in Israel, said Bligh. Ron Yishai, the director general of the Jerusalem Affairs and Heritage Ministry, told the committee that the law would not apply to any areas annexed to the city in the future and were not part of the municipality on the day the Knesset approves the law. The Shuafat refugee camp and Kafr Aqab were cut off from the rest of the city when the West Bank security fence was built. According to a study conducted by Jerusalem`s Gihon municipal water company, there are a total of 140,000 residents in the two neighborhoods, some of whom do not possess blue Israeli identity cards indicating that they are permanent residents of the city. Because of the presence of the security barrier municipal authorities and Israeli police rarely provide services to the residents of the neighborhoods and in recent years, conditions there have deteriorated considerably. A large proportion of the terrorist attacks committed in the city in 2015 were carried out by residents of neighborhoods on the other side of the security fence. Violence in these areas has increased, as has the presence of illegal weapons and drug trafficking there. The condition of infrastructure in the two neighborhoods is poor. In the absence of municipal inspectors, thousands of apartments have been built there without regard to the collapsing municipal facilities, and residents have been encountering major problems involving inadequate sewers, water and electricity infrastructure. The Knesset`s vote in support of the bill on preliminary reading was part of an amendment to the Basic Law on Jerusalem, and would require another three votes in support to become law. Although ostensibly the amendments are designed to buttress the standing of Jerusalem, the bill would leave an opening to break the existing taboo on dividing the city or altering Jerusalem`s boundaries, which were expanded considerably after the 1967 Six-Day War when the East and West Jerusalem were unified. Although the bill would bar transferring areas of the city to foreign sovereignty (such as Palestinian sovereignty), it paves the way for that in neighborhoods that would no longer be within Jerusalem`s city limits. It would therefore cast new light on any debate regarding the future of Palestinian neighborhoods that came under Israeli administration in 1967. 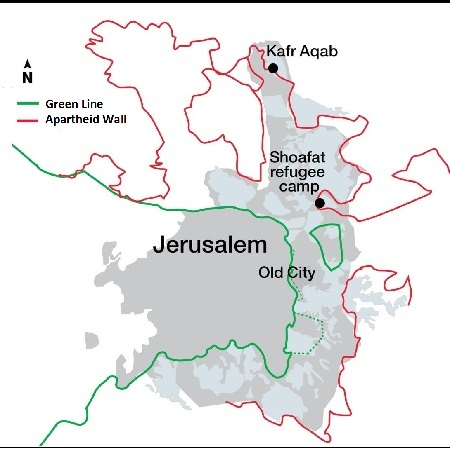 The main difference between the Shuafat refugee camp and Kafr Aqab on one hand and other Palestinian neighborhoods of the city on the other is that the two locations are on the West Bank side of the security barrier. Renewed discussion in Palestinian society over whether Palestinian residents of the city should switch course and opt to vote in municipal elections is also prompting the government to think about legal means to keep Palestinians from influencing who the mayor of Jerusalem city is. Splitting off Palestinian neighborhoods of the city is a matter of major concern among Palestinians in Jerusalem when it comes to their future status and over whether conditions in their neighborhoods would become even worse. The debate on amending the Basic Law on Jerusalem, a law that has constitutional status, has focused on a clause designed to make it more difficult to transfer portions of the city from Israeli sovereignty to Palestinian jurisdiction, and would require a special majority of 80 Knesset members for any such move. 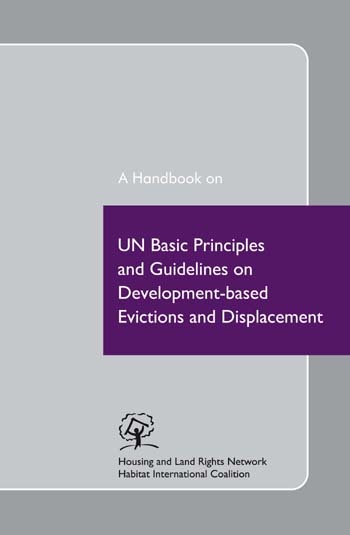 But the amendments also include two other provisions relating to how the city`s boundaries are defined in the basic law. One source told Haaretz: The significance of the change is that if the state want wants to make a municipal change and establish a [new] local authority that would include the Arab neighborhoods, it would be able to do so on the condition that the [local] authority is under Israeli sovereignty. That would be a municipal authority for all purposes. Another source, who examined the bill from a legal standpoint, said the new vague wording is designed to set the city`s boundaries and would also allow the inclusion of additional areas that have been added to the city`s municipal boundaries since the passage of the Basic Law on Jerusalem in 1980. The new version could be interpreted as providing that there is no constitutional prohibition against changing Jerusalem`s municipal boundaries. Bennett and Elkin did not respond to an inquiry from Haaretz seeking an explanation of the provisions and their implications on the current situation. The idea of splitting the two Palestinian neighborhoods off from Jerusalem and placing them in the jurisdiction of a new local government was proposed by the researcher and journalist Nadav Shragai in 2015 in his Hebrew-language book Yerushalayim, ashlayat hahaluka, (Jerusalem, the illusion of partition). And in May, Channel 10 reported that the National Security Council had considered a plan to transfer neighborhoods in East Jerusalem to a new Israeli regional council. Shragai estimated that the transfer of the Shuafat refugee camp and Kafr Aqab would reduce the city`s Arab population to 220,000, or 30 percent of city residents compared to almost 40 percent currently. In his book, Shragai described the advantage of the new plan. Everyone would `gain` from this solution. Israel would not lose sovereignty over these areas, which formally are part of the State of Israel, he wrote. It would continue to be responsible for security in these areas and continue to be present there from a security and intelligence standpoint. The Jerusalem Municipality would rid itself of an economic burden, which it was unable to meet even before the security fence was built. The residents would gain a regional council with an Arab council head and local council members, which would be funded, like all regional councils, by the State of Israel. They would be able to improve their situation considerably, to set priorities, invest more funds in infrastructure and services – two fields that have been almost entirely neglected in these areas -- and most importantly, manage their affairs themselves, subject to Israeli laws and rules. They would even retain their resident status. Photo on front page: The separation barrier Between Shuafat and Pisgat Ze`ev in Jerusalem, 2014. Source: Olivier Fitoussi/Haaretz. Map on this page: Jerusalem map, showing 1948/9 Armistice Line (Green Line) and route of Israel’s Annexation/Apartheid Wall. Source: HLRN.